Digitize and unify disparate document flows – paper, fax and email– to improve efficiency and eliminate human transcription errors and complexity. Streamline processes by integrating paper, fax and email with existing office and business applications for a better performing, agile organization. Benefit from a centralized communications platform and message archive. Meet any deployment scenario with easy reporting, full control options, and auditing. Rely on a proven solution that is made for your business and a future safe investment because of its modular design, regulatory compliance (including GDPR and PCI) and 24X7 support services.  Faxination’s Digital Business Platform helps companies all over the world to transform into a digital business and integrate all business document flows with connected systems. The ability to securely exchange clinical information among independent healthcare organizations is the key to providing patient-centric and cost-efficient care. Collection, processing, retention and exchange of individual healthcare data brings with it an array of compliancy regulations. Faxination is GDPR compliant and supports HL7, the international standard for healthcare industry communications, for secure and efficient information exchange, seamlessly integrated into existing healthcare processes and systems (e.g. Hospital Information Systems, Electronic Health Records). Faxination secures the digital exchange of vital and confidential business information including legal documents, financial statements, and contracts. Application-generated documents are automatically delivered to recipients without manual intervention and with full message accountability. In addition, the OCR Module converts incoming faxes to a PDF/A with text that can be searched, copied, and indexed for easy data discovery and reporting per GDPR compliancy. Large manufacturing firms have thousands of daily interactions with customers and suppliers all over the world. Faxination helps to streamline these communications allowing your organization to become more agile and responsive to customer needs. Faxination integrates seamlessly with existing disparate line-of-business systems to support end-to-end business workflows across the enterprise. Manage and protect your data with ease. "Fenestrae’s faxination server has been working to our full satisfaction for years." "Faxination allows us to easily exchange business documents to the different areas within the company. It is a secure and reliable solution. "The system runs so smoothly that you tend to forget that it is there. It is a worry-free solution." Faxination offers solutions for any size business. Due to its modular, component-based design, Faxination allows you to mix and match functionality and meet any cloud, on-premise or hybrid deployment requirements.